Technology is always evolving, which means you need IT services Sioux Falls companies have been using for optimal security for years. A&B Business Solutions is one of the top IT companies Sioux Falls knows and trusts. 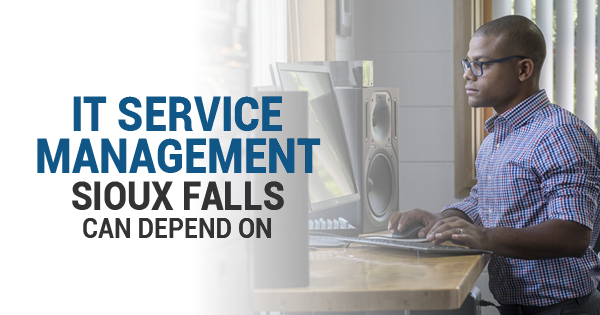 For almost 40 years, A&B Business Solutions has been providing the IT management Sioux Falls companies need to stay ahead of the game and completely secure at a fraction of the cost of hiring an in-house technician. It's challenging to stay competitive in your industry without viable IT technical support. But it can also be costly to hire an in-house technician. That's why A&B Business Solutions offers IT management for Sioux Falls companies for only a small monthly fee. Say goodbye to the worry and frustration that sits on your shoulders when you need to manage your IT environment. A&B Business Services has you covered. Our team of experienced IT management professionals will monitor your systems 24/7 to keep an eye on anything that seems suspicious. A&B Business Solutions offers two options for your company to choose from. So no matter how large your business grows, you can always expect secure coverage. What's more, A&B Business Solutions also provides server care elite coverage, which includes free network availability monitoring, AV scans with remediation for infections, and many other benefits. We also offer on-site or off-site total desktop care to give you policy management, administrative scripting, a self-help center, and more.